Today theme for Nail Crazies Unite group is Christmas food. 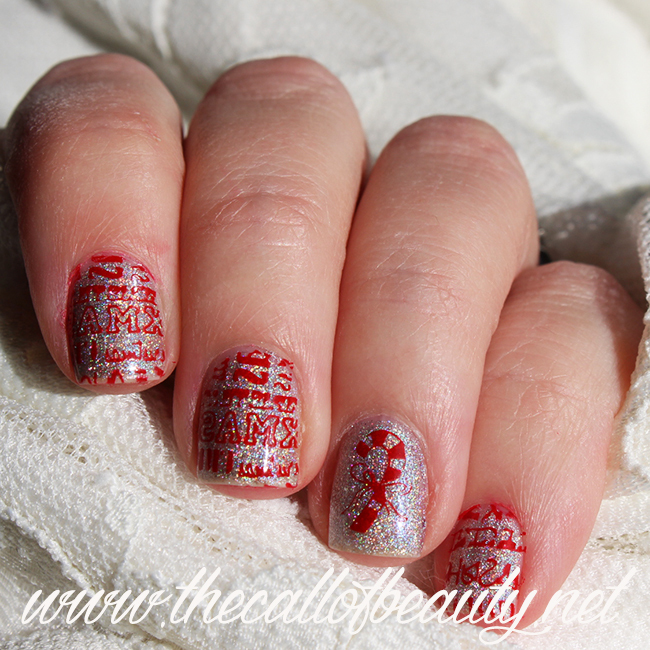 I always love to wear some candy cane nails, do you remember this red nail art? This time I tried a new plate, this plate is not a steel plate as usual but it is a plastic one. After the first use I can say that I don't like this kind of plate. I can't see the design easily and it is not so engraved as many steel plate. I bought this plate on Aliexpress but for sure I will not buy this kind of plates again. 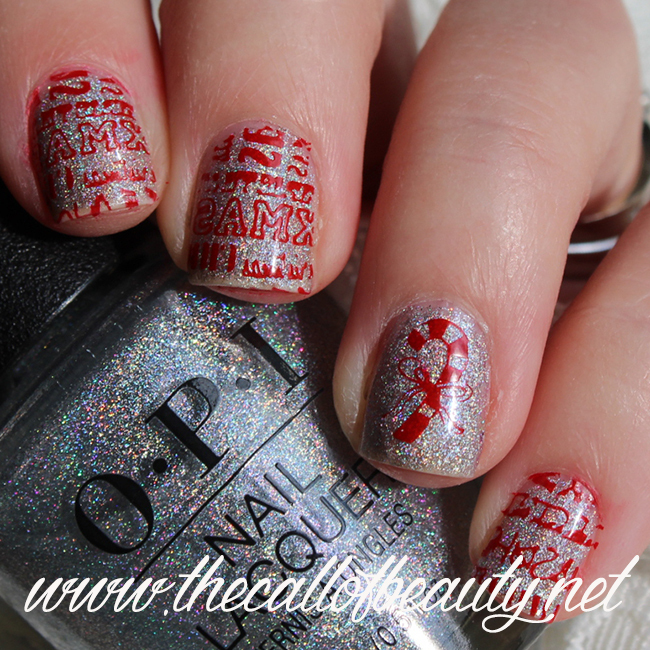 I liked the base I used here, it is OPI Tinker, Thinker, Winker?, a holo polish that is part of The Nutcracker collection. 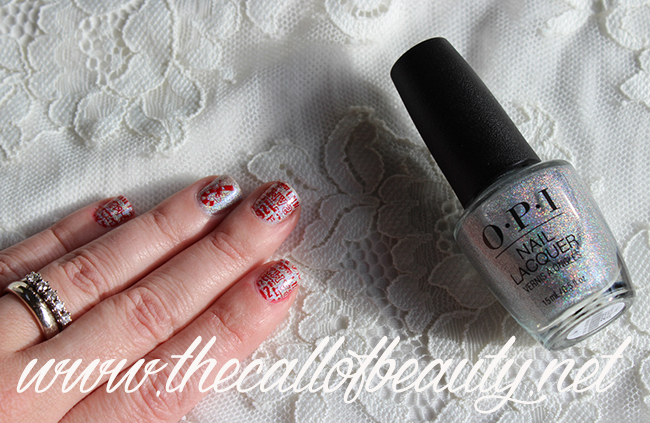 Are you thinking about your next Christmas Manicure? 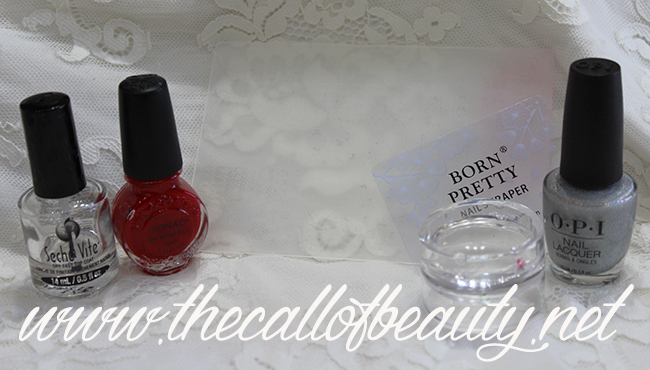 Nail polish: OPI Tinker, Thinker, Winker?